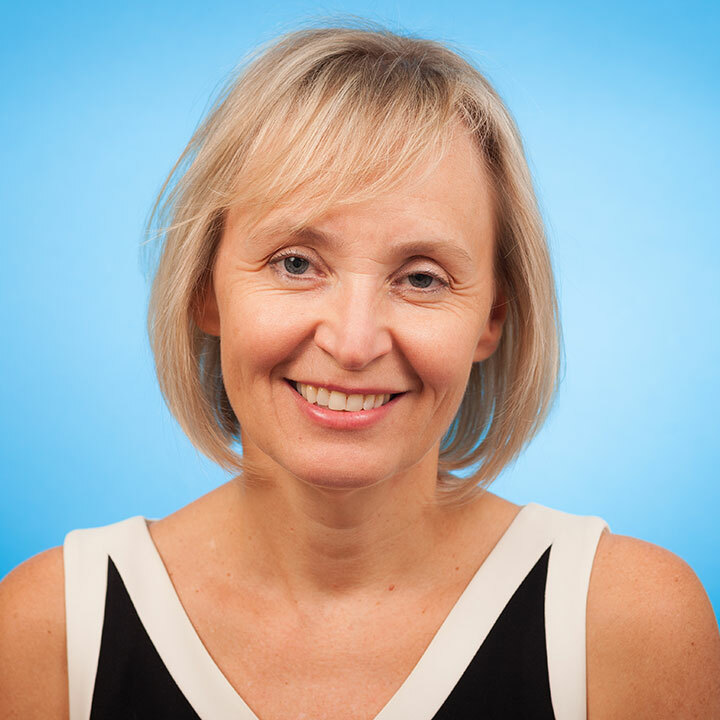 As the Director of the Toronto Adult Cystic Fibrosis (CF) Clinic at St. Michael’s Hospital, Dr. Tullis is responsible for the care of 450 adults with CF. Dr. Tullis is a Professor of Medicine at the University of Toronto, the Respirology Division Head at St. Michael’s Hospital, and an Associate Scientist in the Li Ka Shing Knowledge Institute. She is the Cystic Fibrosis Canada Chair in Adult CF Research. Dr. Tullis has published over 100 articles and book chapters and has lectured nationally and internationally on issues related to CF in adults. She has had 25 years of experience with CF clinical care. She was the Chair of the Clinic Subcommittee of the Medical/Scientific Advisory Board of Cystic Fibrosis Canada from 2005-2011 and in 2010 was a Coach for the Adult Quality Improvement Program run by the American Cystic Fibrosis Foundation. Clark, ST, Sinha, U, Zhang, Y, Wang, PW, Donaldson, SL, Coburn, B et al.. Penicillin-binding protein 3 is a common adaptive target among Pseudomonas aeruginosa isolates from adult cystic fibrosis patients treated with β-lactams. Int. J. Antimicrob. Agents. 2019; :. doi: 10.1016/j.ijantimicag.2019.01.009. PubMed PMID:30664925 . Diaz Caballero, J, Clark, ST, Wang, PW, Donaldson, SL, Coburn, B, Tullis, DE et al.. A genome-wide association analysis reveals a potential role for recombination in the evolution of antimicrobial resistance in Burkholderia multivorans. PLoS Pathog. 2018;14 (12):e1007453. doi: 10.1371/journal.ppat.1007453. PubMed PMID:30532201 PubMed Central PMC6300292. Davies, JC, Moskowitz, SM, Brown, C, Horsley, A, Mall, MA, McKone, EF et al.. VX-659-Tezacaftor-Ivacaftor in Patients with Cystic Fibrosis and One or Two Phe508del Alleles. N. Engl. J. Med. 2018;379 (17):1599-1611. doi: 10.1056/NEJMoa1807119. PubMed PMID:30334693 PubMed Central PMC6277022. Keating, D, Marigowda, G, Burr, L, Daines, C, Mall, MA, McKone, EF et al.. VX-445-Tezacaftor-Ivacaftor in Patients with Cystic Fibrosis and One or Two Phe508del Alleles. N. Engl. J. Med. 2018;379 (17):1612-1620. doi: 10.1056/NEJMoa1807120. PubMed PMID:30334692 PubMed Central PMC6289290. Rowe, SM, Daines, C, Ringshausen, FC, Kerem, E, Wilson, J, Tullis, E et al.. Tezacaftor-Ivacaftor in Residual-Function Heterozygotes with Cystic Fibrosis. N. Engl. J. Med. 2017;377 (21):2024-2035. doi: 10.1056/NEJMoa1709847. PubMed PMID:29099333 . Donaldson, SH, Pilewski, JM, Griese, M, Cooke, J, Viswanathan, L, Tullis, E et al.. Tezacaftor/Ivacaftor in Subjects with Cystic Fibrosis and F508del/F508del-CFTR or F508del/G551D-CFTR. Am. J. Respir. Crit. Care Med. 2018;197 (2):214-224. doi: 10.1164/rccm.201704-0717OC. PubMed PMID:28930490 PubMed Central PMC5768901. Waters, V, Yau, Y, Beaudoin, T, Wettlaufer, J, Tom, SK, McDonald, N et al.. Pilot trial of tobramycin inhalation powder in cystic fibrosis patients with chronic Burkholderia cepacia complex infection. J. Cyst. Fibros. 2017;16 (4):492-495. doi: 10.1016/j.jcf.2017.02.008. PubMed PMID:28262569 . Strug, LJ, Gonska, T, He, G, Keenan, K, Ip, W, Boëlle, PY et al.. Cystic fibrosis gene modifier SLC26A9 modulates airway response to CFTR-directed therapeutics. Hum. Mol. Genet. 2016;25 (20):4590-4600. doi: 10.1093/hmg/ddw290. PubMed PMID:28171547 PubMed Central PMC5886039. Flume, PA, Clancy, JP, Retsch-Bogart, GZ, Tullis, DE, Bresnik, M, Derchak, PA et al.. Continuous alternating inhaled antibiotics for chronic pseudomonal infection in cystic fibrosis. J. Cyst. Fibros. 2016;15 (6):809-815. doi: 10.1016/j.jcf.2016.05.001. PubMed PMID:27233377 . Kim, SH, Clark, ST, Surendra, A, Copeland, JK, Wang, PW, Ammar, R et al.. Global Analysis of the Fungal Microbiome in Cystic Fibrosis Patients Reveals Loss of Function of the Transcriptional Repressor Nrg1 as a Mechanism of Pathogen Adaptation. PLoS Pathog. 2015;11 (11):e1005308. doi: 10.1371/journal.ppat.1005308. PubMed PMID:26588216 PubMed Central PMC4654494.